¿Cómo va el fin de semana? Hoy os traemos a Rita, una preciosa Jack Russell que nos ha enviado Xavi a través del formulario de contacto "Presume de tu Jack". Xavi es veterinario en la clínica Bestiari de Manresa. Nos han encantado las fotos de Rita, ya que el blanco de su cuerpo se funde con el paisaje nevado. Además, hemos encontrado en la web de la clínica una foto de Rita de cachorrita y la verdad es que era y es una monada. 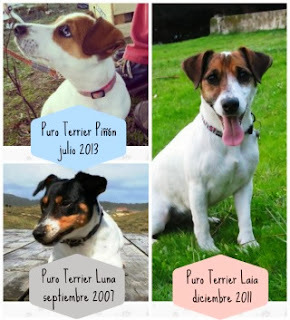 ¡Bienvenida a Puro Terrier, Rita! How's the weekend going? 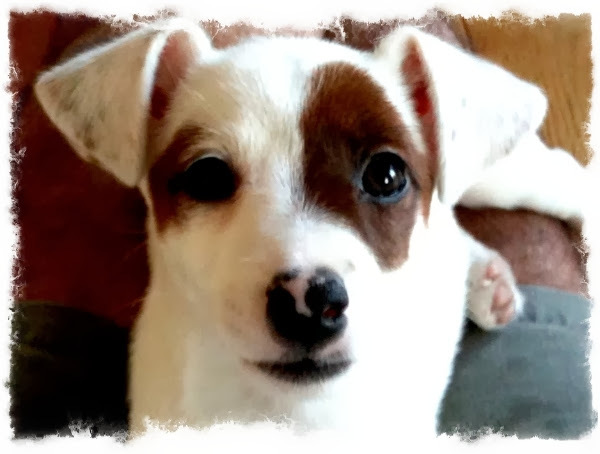 Today we bring you to Rita, a beautiful Jack Russell Xavi sent to us via the contact form "Show off your Jack". Xavi is a veterinarian at the clinic Bestiari in Manresa. We have loved the photos of Rita, as the white of her body merges with the snowy landscape. Furthermore, we found on the website of the clinic a photo of Rita when she was a puppy and the truth is that she was and still is very cute. Welcome to Pure Terrier, Rita!